August Series Registration is OPEN until classes start. 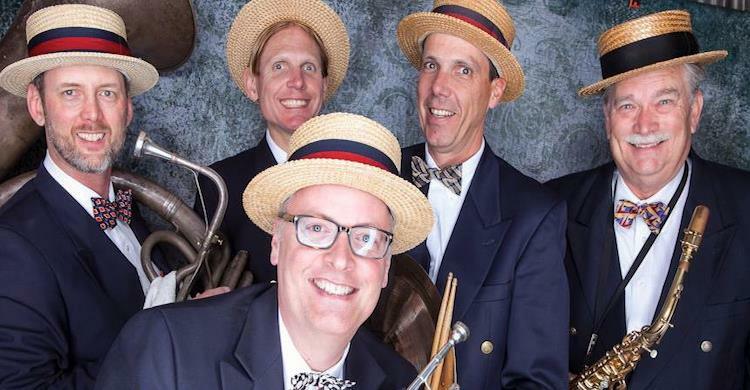 Come and dance with us to the sound of the Don Neely Swingtet! We are excited to have Shimmytown’s two Lindy Hop performance teams showcasing their newest routines on our floor this month! August 1st: Ann and Ryan’s Shimmy Shakers will be performing the routine which they will also be taking to the 2018 International Lindy Hop Championships (ILHC) in Washington D.C. (and for that reason, no video recordings, please). August 8th: Hannah and Sean’s Shimmy Shines will perform to a very fun Count Basie number. Come along and cheer for our fellow Bay Area dancers and teachers!